1. 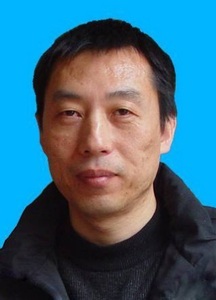 Ji Qiang, Ji Shu’an, Zhang Lijun, 2009. First large tyrannosauroid theropod from the Early Cretaceous Jehol Biota in northeastern China. Geological Bulletin of China, 28(10): 1369-1374. 2. Chiappe L M, Marugán-Lobón, Ji Shu’an, Zhou Zhonghe, 2008. Life history of a basal bird: morphometrics of the Early Cretaceous Confuciusornis. BiologicalLetters,4(6): 719-723. 3. Chiappe L M, Ji Shu’an, Ji Qiang, 2007. Juvenile birds from the Early Cretaceous of China: implications for enantiornithines ontogeny. AmericanMuseumNovitates, 3594: 1-46. 4. Ji Shu’an, Gao Chunling, Liu Jinyuan, Meng Qingjin, Ji Qiang, 2007. New material of Sinosauropteryx (Theropoda: Compsognathidae) from western Liaoning, China. Acta Geologica Sinica (English Edition), 81(2): 177-182. 5. Ji Shu’an, Ji Qiang, 2007. Jinfengopteryx compared to Archaeopteryx, with comments on the mosaic evolution of long-tailed avialan birds. Acta Geologica Sinica (English Edition), 81(3): 177-182. 6. 姬书安, 2007. 对《自然》、《科学》杂志报道的热河生物群、道虎沟生物群重大发现与研究进展的述评. 地质论评, 53(4): 529-538. 8. Ji Shu’an, Ji Qiang, You Hailu, Lü Junchang, Yuan Chongxi, 2006. Webbed foot of an Early Cretaceous ornithurine bird Gansus from China. Geological Bulletin of China, 25(11): 1295-1298. 9. Ji Shu’an, 2006. Furculae of non-avian theropods and basal birds. In: Lü J C, Kobayashi Y, Huang D, Lee L N (eds). Papers from the 2005 Heyuan International Dinosaur Symposium. Beijing: Geological Publishing House. 115-128. 10. Ji Qiang, Ji Shu’an, Lü Junchang, You Hailu, Chen Wen, Liu Yongqing, Liu Yanxue, 2005. First avialian bird from China. Geological Bulletin of China, 24(3): 197-210. 11. Ji Shu’an, 2005. A new Early Cretaceous lizard with well-preserved scale impressions from western Liaoning, China. Progress in Natural Science, 15(2): 162-168. 12. Ji Qiang, Ji Shu-An, Cheng Yen-Nien, You Hai-Lu, Lü Jun-Chang, Liu Yong-Qing, Yuan Chong-Xi, 2004. Pterosaur egg with a leathery shell. Nature, 432: 572-572. 13. Pol D, Ji Shu’an, Clark J M, Chiappe L M, 2004. Basal crocodylifor(Xinjiang, China), and the phylogenetic position of Edentosuchus. Cr 25(4): 603-622. 14. 刘金远, 姬书安, 唐? 烽, 高春玲, 2004. 辽西义县组奔龙类化石一新种. 地质通报, 23(8): 778-783. 15. Ji Shu’an, Ji Qiang, 2004. Postcranial anatomy of the Mesozoic Dalinghosaurus(Squamata): evidence from a new specimen of western Liaoning. Acta Geologica Sinica (English Edition), 78(4): 897-906. 16. 季 强, 姬书安, 程延年, 尤海鲁, 吕君昌, 袁崇喜, 2004. 辽西晚中生代热河生物群中首次发现具胚胎的软壳蛋化石. 地球学报, 25(3): 275-285. 17. Tong Haiyan, Ji Shu-an, Ji Qiang, 2004. Ordosemys (Testudines: Cryptodira) from the Yixian Formation of Liaoning Province, northeastern China: new specimens and systematic revision. American Museum Novitates, 3438: 1-20. 18. 姬书安, 2004. 辽宁凌源义县组恐龙皮肤印痕化石. 地质论评, 50(2): 170-174. 19. Ji Qiang, Ji Shu’an, You Hailu, Zhang Jianping, Zhang Hongbin, Zhang Nanjun, Yuan Chongxi, Ji Xinxin, 2003. An Early Cretaceous avialian bird, Shenzhouraptor sinensis, from western Liaoning, China. Acta Geologica Sinica (English Edition),77(1): 21-27. 20. Ji Qiang, Ji Shu’an, 2001. How can we define a feathered dinosaur as a bird? In: Gauthier J, Gall L F (eds). New Perspectives on the Origin and Early Evolution of Birds: Proceedings of the International Symposium in Honor of John H. Ostrom. New Haven: Peabody Museum of Natural History, Yale University. 43-46. 21. Ji Qiang, Norell M. A., Gao Ke-Qin, Ji Shu-An, Ren Dong, 2001. The distribution of integumentary structures in a feathered dinosaur. Nature, 410: 1084-1088. 22. 姬书安, 2001. 孔子鸟化石研究新进展. 地质科技情报, 20(2): 30-34. 23. Ji Shu’an, 1999. Initial report of fossil psittacosaurid skin impression from the uppermost Jurassic of Sihetun, northeastern China. 24. 姬书安, 1999. 中国的翼龙化石综述. 见: 王元青, 邓? 涛(主编). 第七届中国古脊椎动物学学术年会论文集. 北京: 海洋出版社. 81-88. 25. Ji Shu’an, Ji Qiang, Padian K, 1999. Biostratigraphy of new pterosaurs from China. Nature, 398: 573-574. Late Mesozoic of northeastern China. Bulletin of the American Museum of Natural History, 242: 1-89. 27. Ji Qiang, Luo Zhexi, Ji Shu-an, 1999. A Chinese triconodont mammal and mosaic evolution of the mammalian skeleton. Nature, 398: 326-333. 28. Ji Qiang, Chiappe L M, Ji Shu’an, 1999. A new Late Mesozoic confuciusornithid bird from China. Journal of Vertebrate Paleontology, 19 (1): 1-7. 29. 姬书安, 潘江, 1999. 滇东泥盆纪瓣甲鱼类化石新知. 地层古生物论文集, 第27辑: 172-179. 30. Ji Shuan, Ren Dong, 1999. First record of lizard skin fossil from China with description of a new genus (Lacertilia: Scincomorpha). Acta Zootaxonomica Sinica, 24(1): 118-124. 31. 姬书安, 季强, 1998. 记辽宁一新翼龙化石(喙嘴龙亚目). 江苏地质, 22(4): 199-206. 32. 姬书安, 薄海臣, 1998. 鹦鹉嘴龙类皮肤印痕化石的发现及其意义. 地质论评, 44(6): 603-606. 33. Ji Qiang, Currie P J, Norell M A, Ji Shu-An, 1998. Two feathered dinosaurs from northeastern China. Nature, 393: 753-761. 34. Ji Shuan, 1998. A new long-tailed lizard from Upper Jurassic of Liaoning, China. In: Department of Geology, Peking University (ed). Collected Works of International Symposium on Geological Science Held at Peking University, Beijing, China. Beijing: Seismological Press. 496-505. 35. 姬书安, 季强, 1998. 中国首次发现的中生代蛙类化石(两栖纲: 无尾目). 中国地质, 250: 39-42. 36. Ji Shu’an, Pan Jiang, 1997. The geological heritage sites and national parks in China. In: Marinos P G, Koukis G C, Tsiambaos G C, Stournaras G C (eds). Engineering Geology and the Environment, Vol. 3. Rotterdam: A. A. Balkema. 2961-2965. 37. Ji Shu’an, Ji Qiang, 1997. Discovery of a new pterosaur in western Liaoning, China. Acta Geologica Sinica (English Edition), 71(2): 115-121. 38. 季强, 姬书安, 1997. 原始祖鸟(Protarchaeopteryx gen. nov.)—中国的始祖鸟类化石. 中国地质, 238: 38-41. 39. 姬书安, 潘江, 1997. 广西和湖南的大瓣鱼科化石. 古脊椎动物学报, 35(1): 18-34. 40. 季强, 姬书安, 1996. 中国最早鸟类化石的发现及鸟类的起源. 中国地质, 233: 30-33. 41. 姬书安, 1996. 中国瓣甲鱼类化石的生物地层学意义. 地层学杂志, 20(3): 161-164, 182.